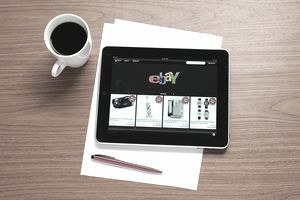 For sellers, there are many keys to garnering bids, but among the most important of these are getting great placement in eBay search rankings and beating out competitors for eyeballs and clicks. You don't have to leave these things to chance or to the black magic of guesswork. You can adjust your listings and watch your selling manager stats to try to see how you're doing. Use the eBay-sponsored Listing Analytics app developed in conjunction with Terapeak and offered through eBay's Apps Center platform. The tool itself is quite simple to use, offering a search box that you can use to search through your auctions. Each search shows a list of matching auctions with all of this detail and a link at the far-left that displays charts when you click on it. It's also free. You'll now find Listing Analytics available on the Applications tab in your My eBay area and can launch and use it to monitor, and ultimately improve, your listing performance. Smart Counter Analytics - Smart Counter Analytics provides a complementary set of details that Listing Analytics does not, including best dates times for your listings, regional and national success rates, and most cross-visited listings. Terapeak - Terapeak provides detailed marketplace research including things like hot categories, hot items with the categories in which you sell, current success rates for items like yours, category trends, and top searches. For each of these apps, follow the same instructions to install them that you used above for the Listing Analytics app, replacing the search for "Listing Analytics" with a search for "Smart Counter Analytics" or "TeraPeak" in each case. Neither of these additional apps is free, but both are valuable in their own right and well worth the subscription rates involved if you're a determined seller that wants to have the clearest and most accurate picture of the eBay marketplace and your listings' place within it.